Kangwon Land will turn into a truly international arena for gambling and performances as scores of foreign ambassadors to Seoul and their family members will go on a fam tour to the nation's largest casino in the far-flung mountainous area of Gangwon Province. Kangwon Land — a Korean version of America's Las Vegas — is made up of hotels, casinos, theme parks, and other service facilities. Its casino is equipped with 960 slot machines, 132 table games, and 477 guestrooms. Organized by Kangwon Land, the special tour will be attended by some 80 top foreign envoys and their family members from 36 countries. 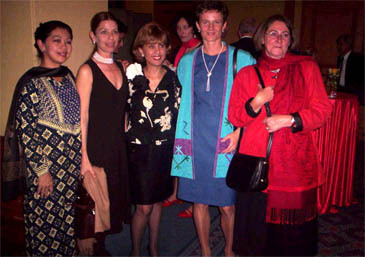 120 other local personalities comprising five local city and county mayors, tourism officials, and other VIPs will also join the diplomatic group's two-night, three-day tour, which starts Nov. 5, 2004. The group will visit major tourist attractions including Buddhist temples and local museums in Gangwon Province. They will also tour Kangwon Land's golf course located between 850 and 1,150 meters above sea level — the highest golf course in the nation. The ambassadors on the invitation list are Amb. Amr M.K. Helmy of Egypt, Amb. Sydney Bafana Kubheka of South Africa, Amb. Istvan Torzsa of Hungary, Amb. 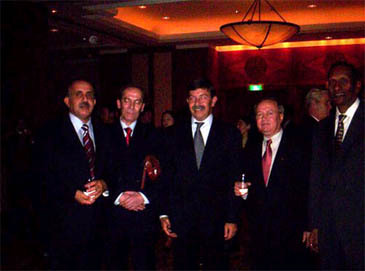 Selim Kuneralp of Turkey, Amb. Portugal Carlos M.L. Frota of Portugal, Amb. Colin Stuart Heseltine of Australia, Amb. Helmut Bock of Austria, Amb. Leif Donde of Denmark, Amb. David Taylor of New Zealand and Amb. Edward Obeng Kufuor of Ghana. Some of the ambassador's family members will accompany them. According to the itinerary, they will visit Woljeongsa or Woljeong Buddhist Temple and Seongbo Museum, and have dinner at Kangwon Land on the fist day of their travel Nov. 5, 2004. On the morning of the second day they will tour Jeongamsa or Jeongam Buddhist Temple and Dangun Shrine at Taebaeksan (Mt. Taebaek). Dangun is the legendary founder of Korea. In the afternoon on the same day they will go to Kangwon Land's golf course. Still on the same day a banquet dinner will await them accompanied by traditional performances of Gangwon Province. The dinner includes symposiums on ways of boosting tourism in Gangwon Province. Scheduled for the last day there is a mountain-hiking trip on Mindungsan (Mt. Mindung). At the end of the hike a tourist train will take them all the way back to Seoul, rounding up their three-day fam tour to Kangwon Land. Kangwon Land sees this diplomatic corps tour as a chance to publicize not only its family resort but also Gangwon Province to the world. Kangwon Land was opened in an abandoned mine town in the southern Gangwon Province Oct. 28, 2000 to revive regional economy. In recent years, the once thriving coal mining industry has died down and in result has vacated the villages which were once supported by the industry. Decades ago, coal production in Gangwon Province accounted for most of the production in the nation. 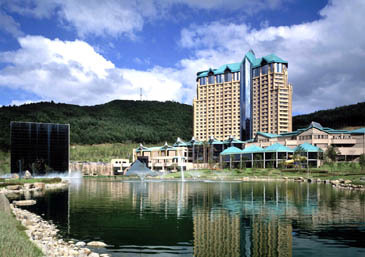 Since its opening over 5 million people — both Korean and foreign nationals — have visited the casino. 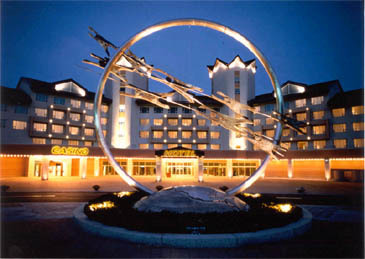 Kangwon Land is the only casino in the nation, where Korean nationals also are allowed in. By law, most casinos in Seoul are off limits to local Koreans. On the average, nearly 5,000 people visit Kangwon Land. Visitors to the casino also enjoy swimming pools, theme parks, and theaters, as well. Foreign visitors are on the sharp increase. Since its opening, some 48,300 foreigners from South East Asian countries visited Kangwon Land. So far until September, an estimated 248,000 South East Asian visitors used the casino, a 170 percent increase over the corresponding period of last year. 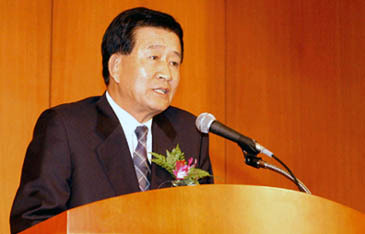 Its new 18-hole golf course still under construction will open in July 2005 and a ski slope will follow suit in December in 2006, according to Mr. Park Do-Jun, senior manager of Kangwon Land's media relations. Ms. Kim Sun-Young studied German language and literature at Kyungwon University east of Seoul on the school's four-year full scholarship. Kim covers foreign embassies in Seoul and cultural affairs. She has travelled extensively in N. America and Europe including France, Italy, Germany, and England.